As this is the review of a second trailer to a film, I shall keep it brief. The second trailer reveals more about the film. 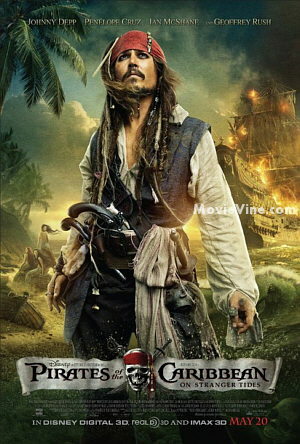 Pirates of the Caribbean: On Stranger Tides is coming to theaters on May 20, 2011. The film stars Johnny Depp, returning as Captain Jack Sparrow. The trailer showed off more plot elements and gave more insight into what has happened between the last film and the latest installment. The film is on track to be my favorite of 2011, a film set to take audiences for yet another thrill ride. Comments for “Pirates of the Caribbean: On Stranger Tides” (2011) – A Trailer Review. (Trailer 2) are now closed.